Usability is very important in any system or device. 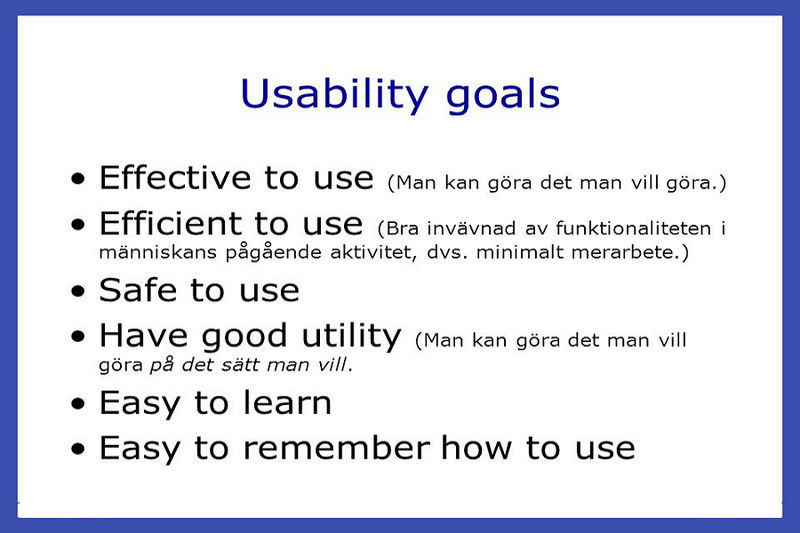 In this article, we answer the question “What is usability?”. We explain the concept in an easy-to-understand manner and look at how to conduct usability testing. Any system or device designed for people should be easy to use, easy to learn, easy to remember, and helpful to users. Otherwise, people leave. 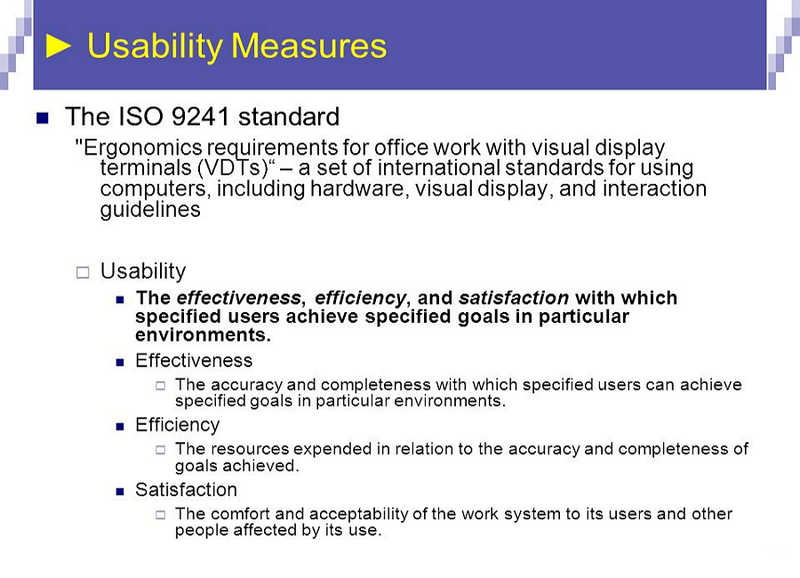 ISO defines usability as "The extent to which a product can be used by specified users to achieve specified goals with effectiveness, efficiency, and satisfaction in a specified context of use." Let’s assume that the user is "Lucy" (specific user), female, and 24 years old. She wants to buy skin cream (specific use scenario) in order to keep her skin soft and moisturized(specific target). So she opens a skin care product APP, compares products repeatedly and reads comments/reviews. She chooses a product (using a certain product) and completes the payment (effectiveness, efficiency, and satisfaction achieved). This refers to a certain type of user, identified from the get-go. The usage group of a product can be divided into multiple categories according to characteristics. Each category user has similar feature tags, expectations, and target tasks when using the product. 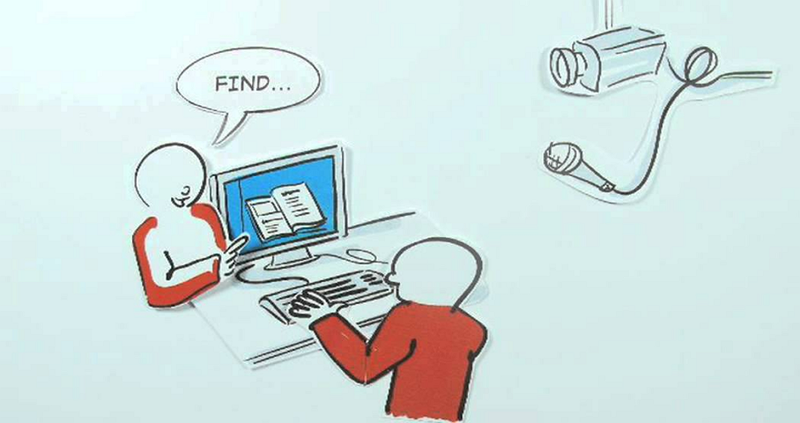 In a user scenario, a specific task is specified, and a narrative is written describing how a user might accomplish this task. To complete operations with purpose. Usability plays an important role in improving the UX, but usability and user experience are often confused by many designers. 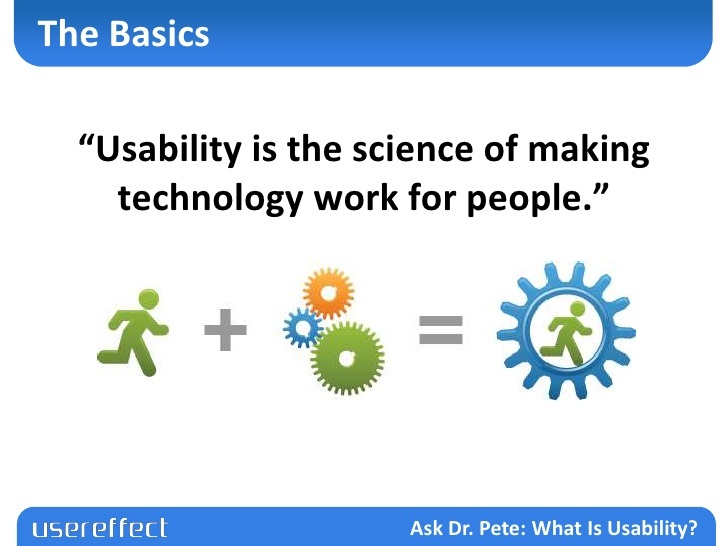 Check out my previous post where I explain the difference between user experience and usability. Effectiveness means that the user is able to achieve his or her own goals. For example, if you visit an online bookstore, you can buy the book you are looking for. If this is the case, you have an effective system. Efficiency means that users can achieve a goal with the shortest path. How fast can the user finish a task? Efficiency is similar to ease of use. It means that a user shouldn’t go through too many steps when using the product. It’s easy to understand and achieve a goal. If a product has serious efficiency problems, then the user won’t come back for more. Satisfaction means that even if there aren’t any big problems in both effectiveness and efficiency, the system should be analyzed at a deeper level. Does it provide a pleasant experience to the user? Nowadays, many products(webs & APPs) will be designed with dynamic effects. The dynamic effects can help users understand the operation quickly and also please users. 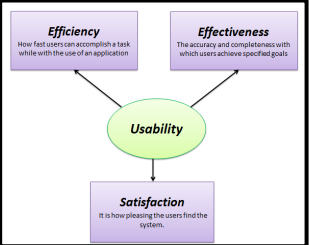 If the above three factors are met, then we can say that product usability has been achieved. However, in real life, many difficulties may arise. You have to solve the effectiveness problem while weighing its seriousness and, at the same time, solve the problems of efficiency and satisfaction as time and cost allow. Usability testing is a method used to evaluate a product or system. It originated from classical experimentation and can perform complex large sample tests as well as simple small sample qualitative tests. 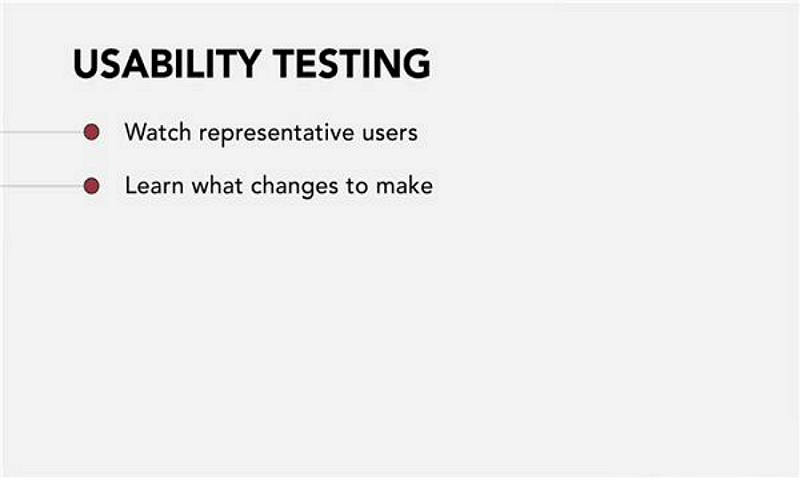 Here are some things to consider when conducting usability testing. Pre-test is a simulation test that is done before the formal usability test. People associated with the product may include but are not limited to, designers, product managers, R&D, and so on. Before conducting the usability test, notify the relevant parties of the time and place of the test as early as possible, and invite relevant parties to participate in the on-site observation. After the usability test has been conducted several times, some issues that we think are important may actually not be so important, and some issues that we think are not important may be necessary. Or, we may that users have doubts and questions about a broader problem. At this point, we should adjust the script and add or delete some content instead of continuing to follow the original script. After the test, a series of usability problems will be found for sure. Ideally, each problem is expected to be solved before the product goes online, but this is unrealistic. Which problems are solved first and which problems are actually solved? At this point, you need to prioritize these issues to rationalize the order of iteration and development. During the usability test, we should take note when a user mentions one or some of the good functions of the products (write it down!). This will assist in follow-up cooperation and communication, as well as subsequent iterations. 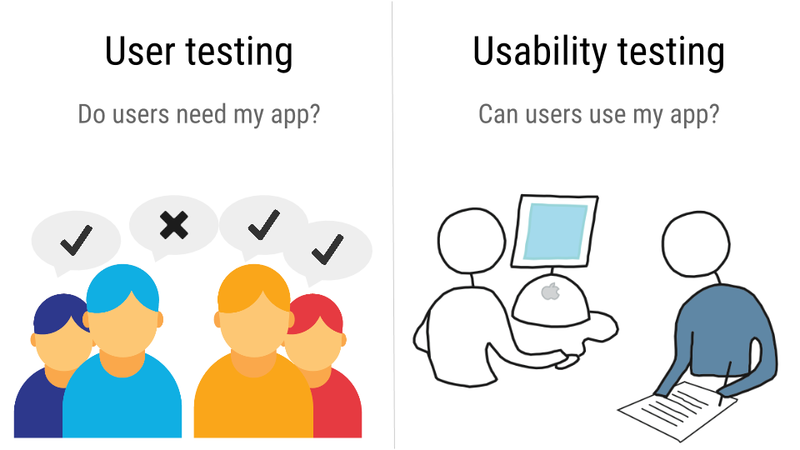 Last, but not the least, understand that a good usability tool can help you test your APP or web before it launches, so arm yourself with one before you conduct usability testing.